First off, you know the questions that people ask you all the time? Those are authoritative blog post topics. For example, in my world people want to know how to get their emails opened and read. The first step for that is to have a GREAT email subject line. With that in mind, I wrote a post that, well, has 100 great email subject lines! Here are just a few of the ways that I have promoted this post! Those are just a few of the things…one more I can do easy peasy…do a youtube video and share THAT to all the other places. Oh, and write about it on my other blogs. Generally, you should treat these like the “hero” blog posts they are and promote them on a weekly basis until everyone loves them as much as you do! 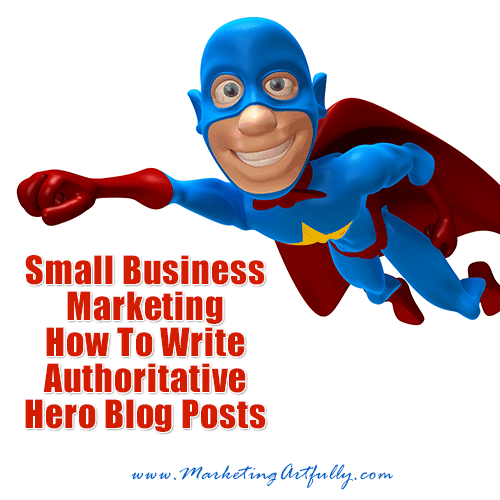 So, if you are writing Authoritative Hero blog posts, hopefully these tips can help!